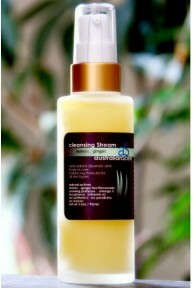 Clear Skin is a gentle, yet effective antibacterial product we think you will love. Formulated with antibacterial essential oils to dry blemishes, whilst protecting the surrounding skin with the antimicrobial properties of organic jojoba oil & Australian tea tree. With organic aloe vera for its wound healing and scar reduction properties, our goal is to provide a 3 in 1 solution: reduce and remove existing infections; protect skin against future breakouts; and heal scar tissue. 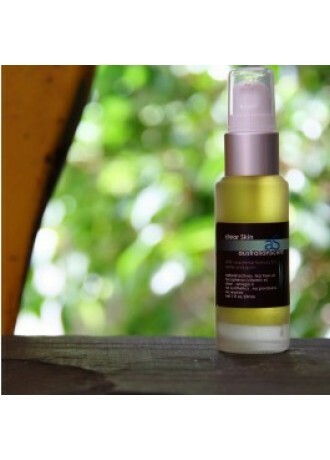 We recommend this product for the occasional spot and for acneic prone skin. Cleanse skin with one of our anti-bacterial cleansing bars or with the Cleansing Stream. Shake Clear Skin well. Apply to affected areas 1-2 times a day, may be used on face, neck, arms and back. May also be applied to small open cuts and wounds to cleanse and disinfect.